I was recently sent a lovely from House of Fraser. 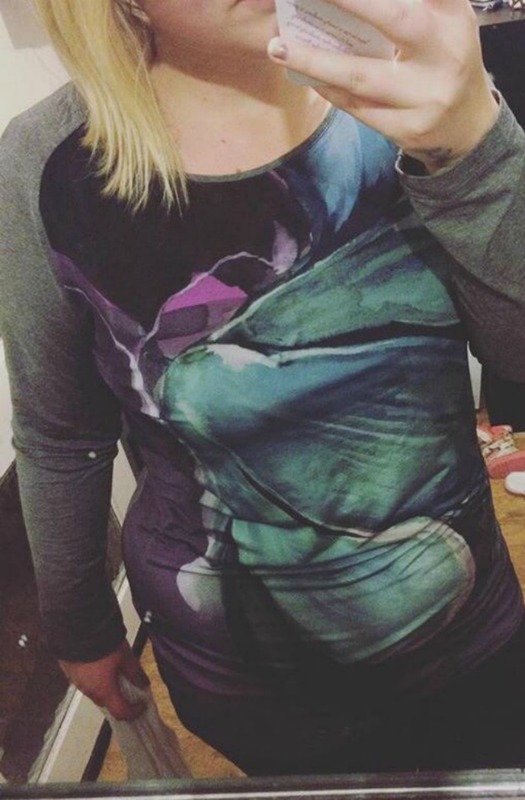 The top is from the plus size range on their website. With 3/4 sleeves and a lovely design flower pattern on the front. House of Fraser offer a good choice of plus size clothing on their website. I would personally say you would need a thin vest top underneath the tunic top because the silk-type material in the front is pretty thing. The back of the top is grey and a bit thicker material and so are the sleeves. The back is longer than the front of the top which is something I always look for in a top. The top is very comfortable to wear an sure does show curves, which is perfect for plus size women. It's a stretchy material so it doesn't stick on you and is very comfortable to wear. Overall, I really like this top and have worn it many of times. If you would like to see House of Fraser plus size range click here. * I was given an Elena Miro top free of charge from House of Fraser in return of an honest review. All words and opinions are my own, as always.